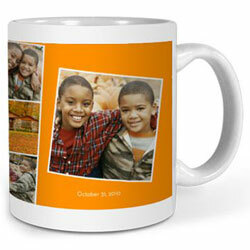 Cafepress.com is a destination for user-designed merchandise where you can create, sell and buy “print-on demand” products. 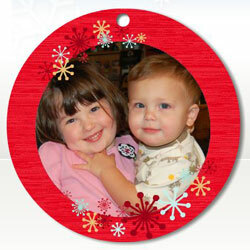 But this Christmas, we’re crazy about the Create-Your-Own-Ornament design tool. Just choose from one of the 30 templates (round or oval shapes), upload an image, edit it to fit and add text if you’d like. Each one costs $12 and promises a lifetime of yuletide memories. 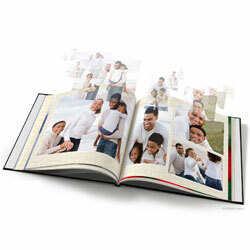 This year, Kodak introduced SmartFit technology, which automatically arranges photos into a book in the order they were taken. You can, of course, then go back to make adjustments, but it works surprisingly well. A small 5" x 7" paperback starts at $9.99 (14 pages), a medium 9" x 10.25" paperback book starts at $19.99 (20 pages) and a medium printed hardcover at $34.99 and a large 12" x14" printed hardcover book starts at $69.99 (20 pages). You can add additional pages up to 90 for small books ($0.99 per page), and up to 60 pages for medium ($0.99 per page) and large ($1.30 per page). Take your most cherished memories to work with you—or just stare at them while you caffeinate every morning with Shutterfly’s photo mugs. With three styles and 8 different mugs to choose from, ranging from 11 oz at $12 to 15 oz at $14, you’ll be able to satisfy just about anyone’s thirst. And if that special someone prefers their own mugs—check out the coasters for $20. Babies look good in just about anything and new parents can always use an extra onesie. So get started creating a unique baby gift that will be cherished long after the baby has outgrown it. Choose from long ($19, pink or white) and short sleeve ($18, gray, light blue, pink or white) or organic short sleeve creeper ($24, white). Free shipping is available through December 31, 2010 on orders of more than $50. 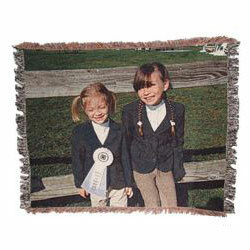 We love the Woven Photo Blanket, a 50” x 60” 100% cotton blanket that proudly wears any picture(s) you decide to upload to the site. You can choose just one image with text in Standard mode or multiple photos, text, frames and backgrounds in Collage mode—all for $90. One problem—the blankets take a couple of weeks to make, so order soon or you won’t get it by Christmas. Create a one of a kind photo bag and bring your favorite memories with you wherever you go. SnapTotes.com is a simple to navigate website which lets you choose your bag by style (think tote, beach or make-up), size (small, medium, large) occasion (like mom, teacher, work) and price (under $75 to $125+). You can also decide on your own strap, liner and color. 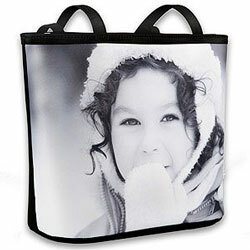 All the bags are designed to work best with a standard 4 x 6 photo, so just upload your image to the site or mail it in using the “mail in photos” option (the original will be sent back to you with the bag).